Short term trips, long term effects. 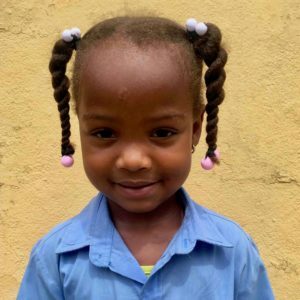 Crisleidy Acencio Martinez is 5 years old and in Kindergarten at the public school in La Represa. She lives with her parents and her older brother. At this time, it is unknown if there is a Christian influence in the home. In her free time, Crisleidy likes to play baseball and other games. She also enjoys swimming in the river. Her favorite color is green. When Crisleidy grows up, she wants to be a doctor so that she can give shots. We charge a 3% convenience fee for donations over $3,000.